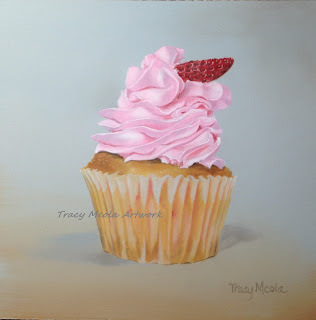 This is the third and final cupcake painting in the softer color series. This was a vanilla cake base with strawberry buttercream frosting and a strawberry slice stuck into the frosting. I concentrated on the detail of the swirling cream. It looks like ribbons. The same neutral background as the previous two. 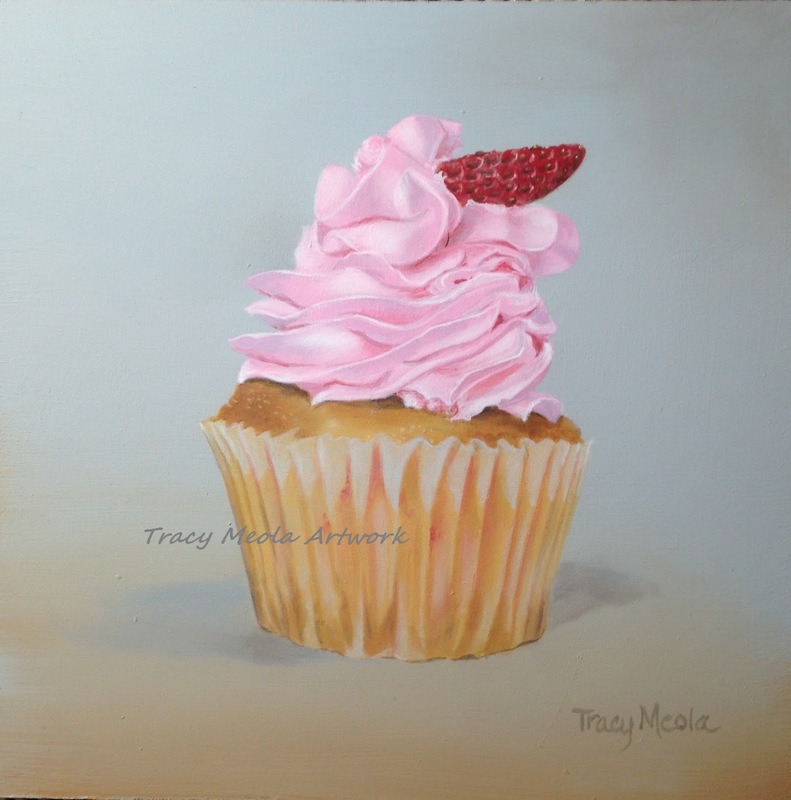 6 x 6 acrylic on panel. 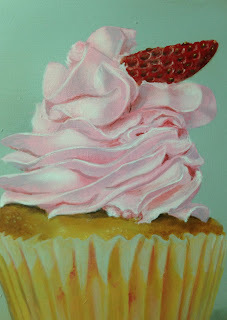 The color changed in this photo but it is still a good representation of the frosting ribbons and strawberry detail.